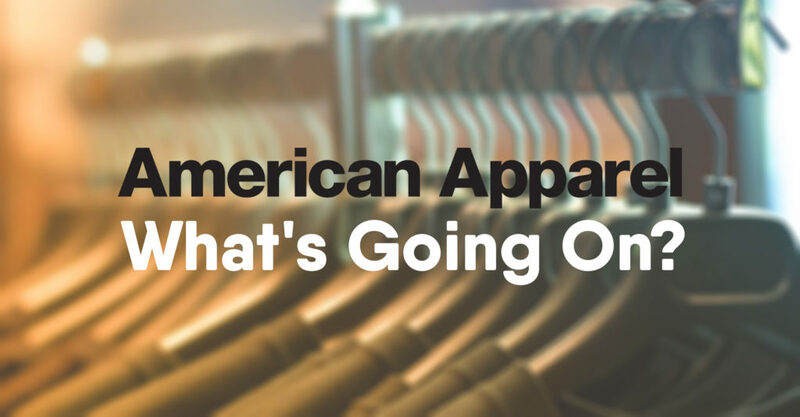 Blog Product updates American Apparel - What's Going On? What's Going On With American Apparel? Many of you may have already heard the news, but for those of you who have not, here is the headline: American Apparel is no longer an American owned company, and it may not continue to be an American made brand. The Los Angeles based apparel brand "American Apparel" has been struggling for a while now. It wasn't a huge surprise to find out that the brand was recently put up for auction. Canadian based apparel brand "Gildan Activewear" made a move to buy the struggling American brand. American Apparel had been dealing with mass criticism of their ad campaigns and marketing choices, and had filed for bankruptcy twice in 13 months. Gildan swooping in and buying the apparel brand very well may have saved it from going under! However, we have to wonder, what are Gildan's intentions for the brand? As of now, we don't know what Gildan plans to do with their newly acquired brand. They may continue to produce and sell the same products, or they might not. They may continue to have the products manufactured in the United States, and they may not. This presents somewhat of an issue, as you can imagine. Currently, we still have a fair amount of American Apparel product available in stock. However, we don't want to just sit around hoping that American Apparel will survive as an American made brand and that all of their products will continue to be produced seamlessly through this acquisition. That would be irresponsible! You can rest assured, everyone here at Print Aura is preparing for any and every outcome of this acquisition. We are currently looking into new potential partnerships with other American made apparel companies. We are ordering samples, doing test prints, and developing relationships with other brands in order to find either the next best thing, or perhaps something even better! We will be sure to keep you all updated on the situation as we learn more! Don't worry. We've got your back! If you are concerned about this news and have questions, please feel free to contact us. We want to make sure everyone is feeling comfortable. We are already looking into multiple brands, but if you have a brand you'd like us to check out, let us know!